Recently, deep learning has shown its power in steganalysis. 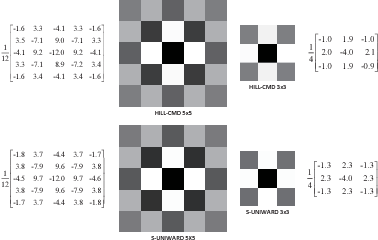 However, the proposed deep models have been often learned from pre-calculated noise residuals with fixed high-pass filters rather than from raw images. In this paper, we propose a new end-to-end learning framework that can learn steganalytic features directly from pixels. In the meantime, the high-pass filters are also automatically learned. 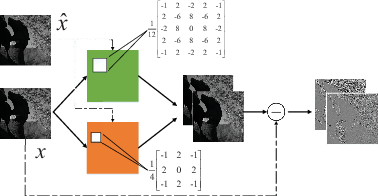 Besides class labels, we make use of additional pixel level supervision of cover-stego image pair to jointly and iteratively train the proposed network which consists of a residual calculation network and a steganalysis network. The experimental results prove the effectiveness of the proposed architecture. There are great demands for automatically regulating inappropriate appearance of shocking firearm images in social media or identifying firearm types in forensics. Image retrieval techniques have great potential to solve these problems. 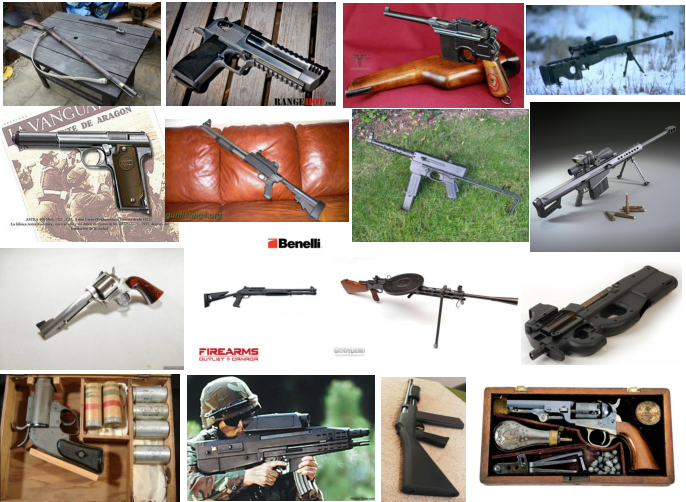 To facilitate research in this area, we introduce Firearm 14k, a large dataset consisting of over 14,000 images in 167 categories. It can be used for both fine-grained recognition and retrieval of firearm images. Recent advances in image retrieval are mainly driven by fine-tuning state-of-the-art convolutional neural networks for retrieval task. The conventional single margin contrastive loss, known for its simplicity and good performance, has been widely used. 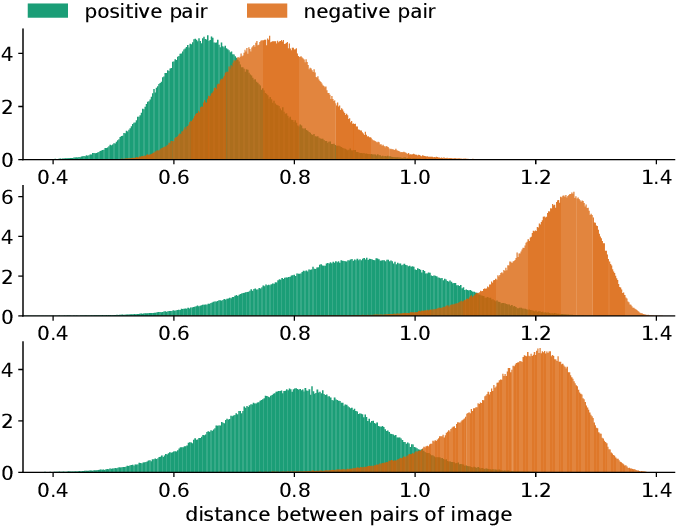 We find that it performs poorly on the Firearm 14k dataset due to: (1) Loss contributed by positive and negative image pairs is unbalanced during training process. (2) A huge domain gap exists between this dataset and ImageNet. We propose to deal with the unbalanced loss by employing a double margin contrastive loss. We tackle the domain gap issue with a two-stage training strategy, where we first fine-tune the network for classification, and then fine-tune it for retrieval. Experimental results show that our approach outperforms the conventional single margin approach by a large margin (up to 88.5% relative improvement) and even surpasses the strong triplet-loss-based approach. In this paper, we propose the Lipschitz margin ratio and a new metric learning framework for classification through maximizing the ratio. This framework enables the integration of both the inter-class margin and the intra-class dispersion, as well as the enhancement of the generalization ability of a classifier. To introduce the Lipschitz margin ratio and its associated learning bound, we elaborate the relationship between metric learning and Lipschitz functions, as well as the representability and learnability of the Lipschitz functions. After proposing the new metric learning framework based on the introduced Lipschitz margin ratio, we also prove that some well known metric learning algorithms can be shown as special cases of the proposed framework. In addition, we illustrate the framework by implementing it for learning the squared Mahalanobis metric, and by demonstrating its encouraging results on eight popular datasets of machine learning. Previous work has shown that feature maps of deep convolutional neural networks (CNNs) can be interpreted as feature representation of a particular image region. Features aggregated from these feature maps have been exploited for image retrieval tasks and achieved state-of-the-art performances in recent years. The key to the success of such methods is the feature representation. However, the different factors that impact the effectiveness of features are still not explored thoroughly. There are much less discussion about the best combination of them. 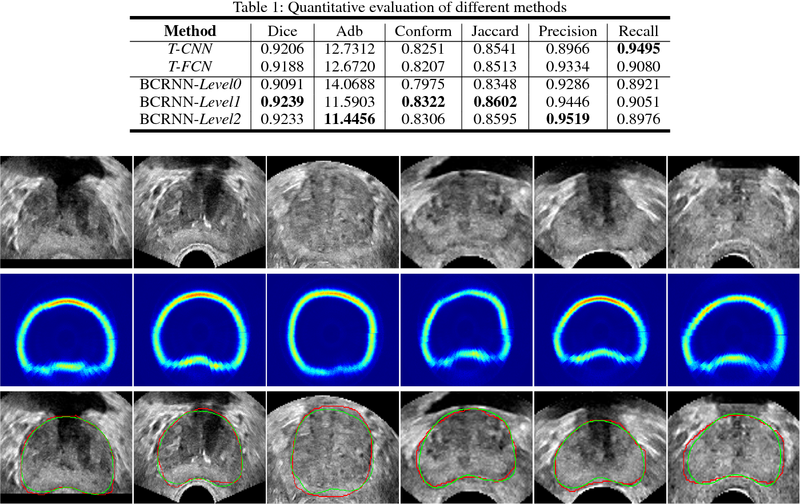 The main contribution of our paper is the thorough evaluations of the various factors that affect the discriminative ability of the features extracted from CNNs. Based on the evaluation results, we also identify the best choices for different factors and propose a new multi-scale image feature representation method to encode the image effectively. 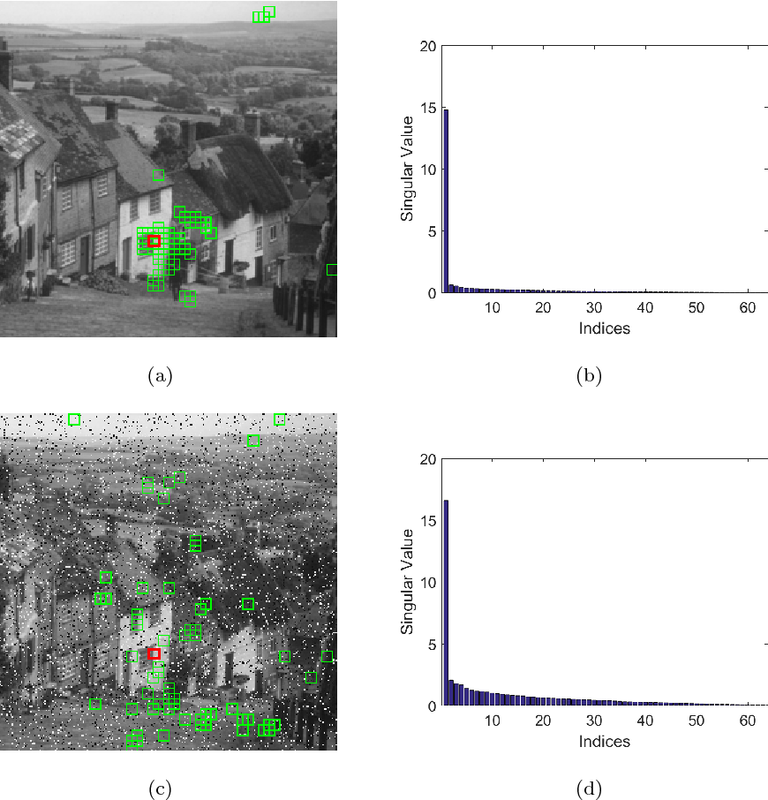 Finally, we show that the proposed method generalises well and outperforms the state-of-the-art methods on four typical datasets used for visual instance retrieval. The performance of distance-based classifiers heavily depends on the underlying distance metric, so it is valuable to learn a suitable metric from the data. To address the problem of multimodality, it is desirable to learn local metrics. In this short paper, we define a new intuitive distance with local metrics and influential regions, and subsequently propose a novel local metric learning method for distance-based classification. Our key intuition is to partition the metric space into influential regions and a background region, and then regulate the effectiveness of each local metric to be within the related influential regions. We learn local metrics and influential regions to reduce the empirical hinge loss, and regularize the parameters on the basis of a resultant learning bound. Encouraging experimental results are obtained from various public and popular data sets. 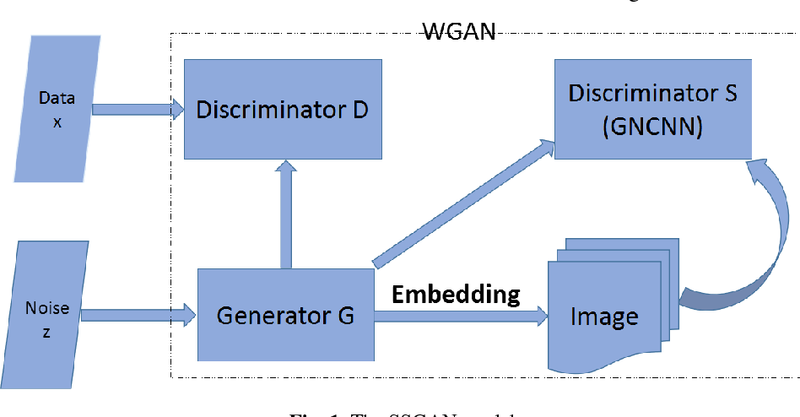 In this paper, a novel strategy of Secure Steganograpy based on Generative Adversarial Networks is proposed to generate suitable and secure covers for steganography. The proposed architecture has one generative network, and two discriminative networks. The generative network mainly evaluates the visual quality of the generated images for steganography, and the discriminative networks are utilized to assess their suitableness for information hiding. 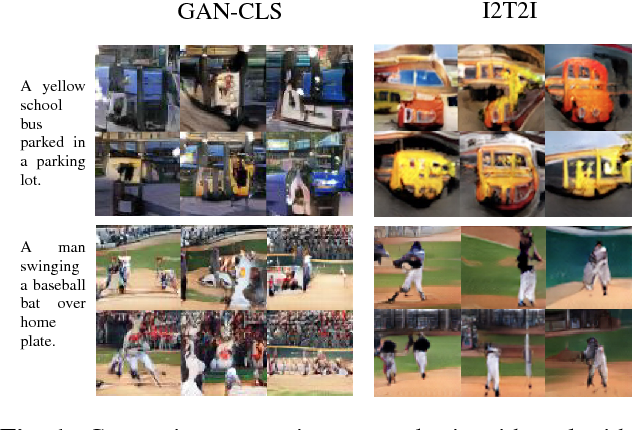 Different from the existing work which adopts Deep Convolutional Generative Adversarial Networks, we utilize another form of generative adversarial networks. By using this new form of generative adversarial networks, significant improvements are made on the convergence speed, the training stability and the image quality. Furthermore, a sophisticated steganalysis network is reconstructed for the discriminative network, and the network can better evaluate the performance of the generated images. Numerous experiments are conducted on the publicly available datasets to demonstrate the effectiveness and robustness of the proposed method. Image alignment tasks require accurate pixel correspondences, which are usually recovered by matching local feature descriptors. Such descriptors are often derived using supervised learning on existing datasets with ground truth correspondences. However, the cost of creating such datasets is usually prohibitive. In this paper, we propose a new approach to align two images related by an unknown 2D homography where the local descriptor is learned from scratch from the images and the homography is estimated simultaneously. 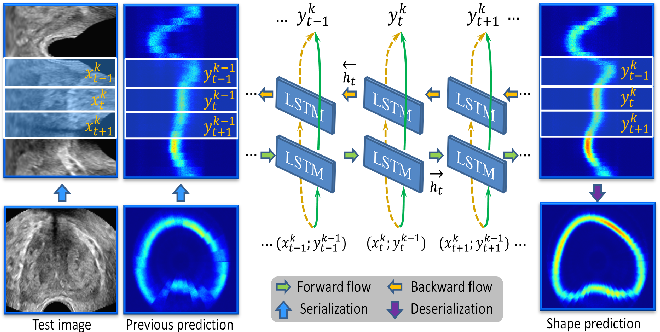 Our key insight is that a siamese convolutional neural network can be trained jointly while iteratively updating the homography parameters by optimizing a single loss function. Our method is currently weakly supervised because the input images need to be roughly aligned. We have used this method to align images of different modalities such as RGB and near-infra-red (NIR) without using any prior labeled data. Images automatically aligned by our method were then used to train descriptors that generalize to new images. 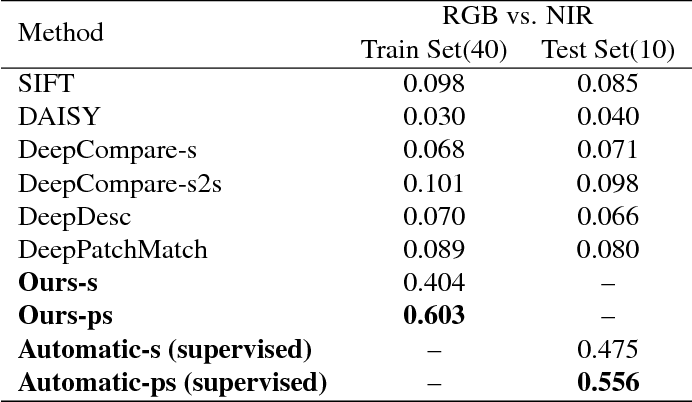 We also evaluated our method on RGB images. On the HPatches benchmark, our method achieves comparable accuracy to deep local descriptors that were trained offline in a supervised setting. 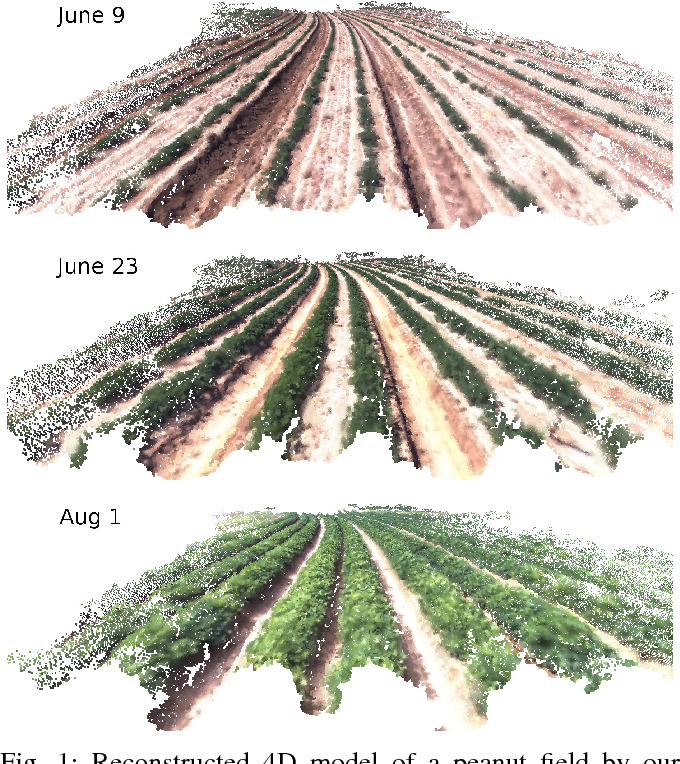 Autonomous crop monitoring at high spatial and temporal resolution is a critical problem in precision agriculture. While Structure from Motion and Multi-View Stereo algorithms can finely reconstruct the 3D structure of a field with low-cost image sensors, these algorithms fail to capture the dynamic nature of continuously growing crops. 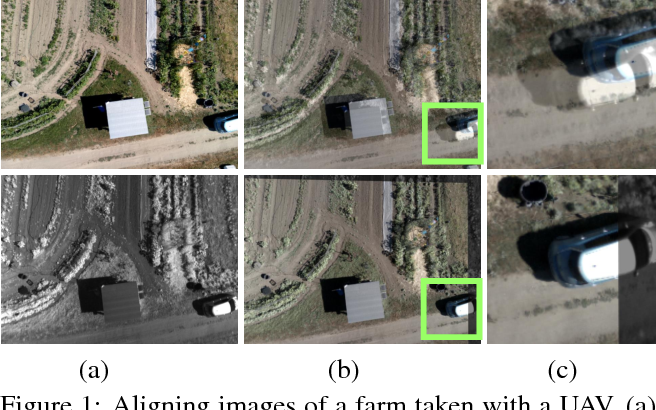 In this paper we propose a 4D reconstruction approach to crop monitoring, which employs a spatio-temporal model of dynamic scenes that is useful for precision agriculture applications. 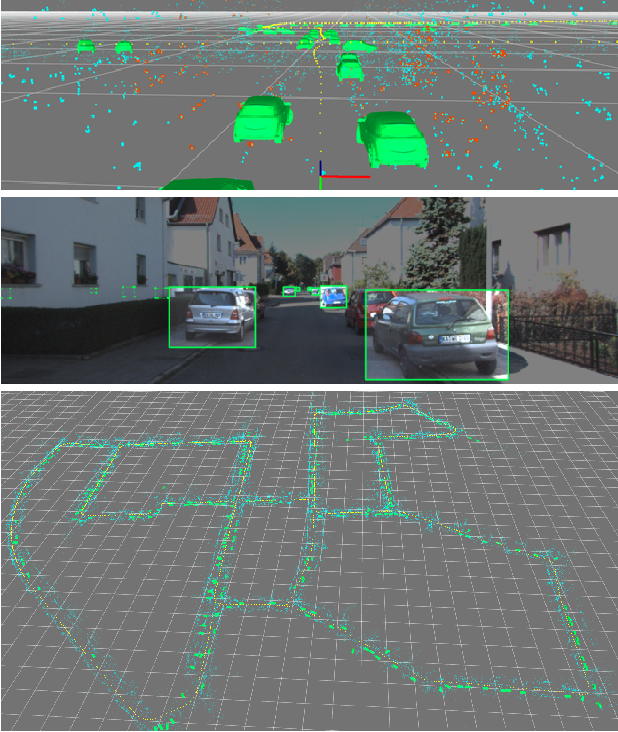 Additionally, we provide a robust data association algorithm to address the problem of large appearance changes due to scenes being viewed from different angles at different points in time, which is critical to achieving 4D reconstruction. 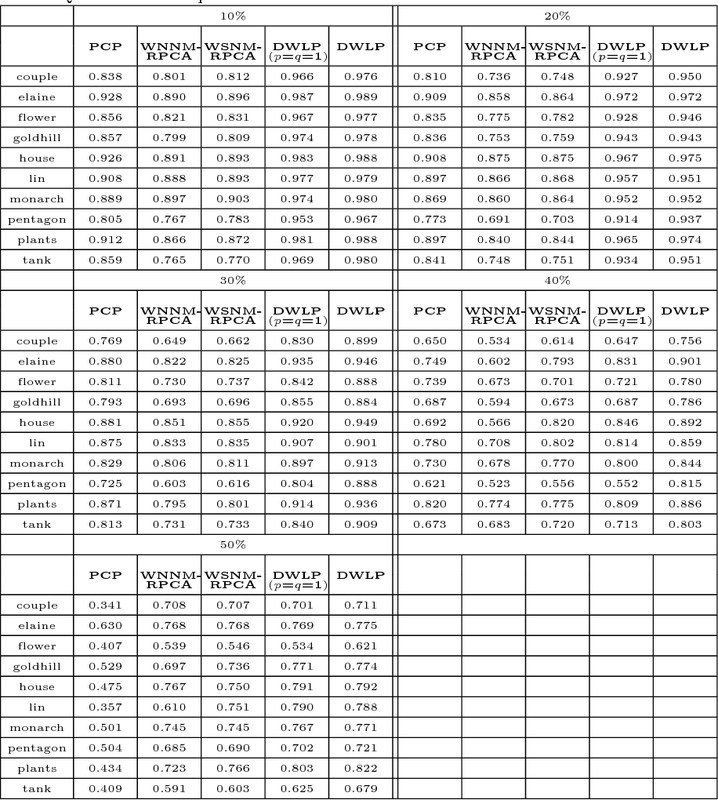 Finally, we collected a high quality dataset with ground truth statistics to evaluate the performance of our method. We demonstrate that our 4D reconstruction approach provides models that are qualitatively correct with respect to visual appearance and quantitatively accurate when measured against the ground truth geometric properties of the monitored crops. 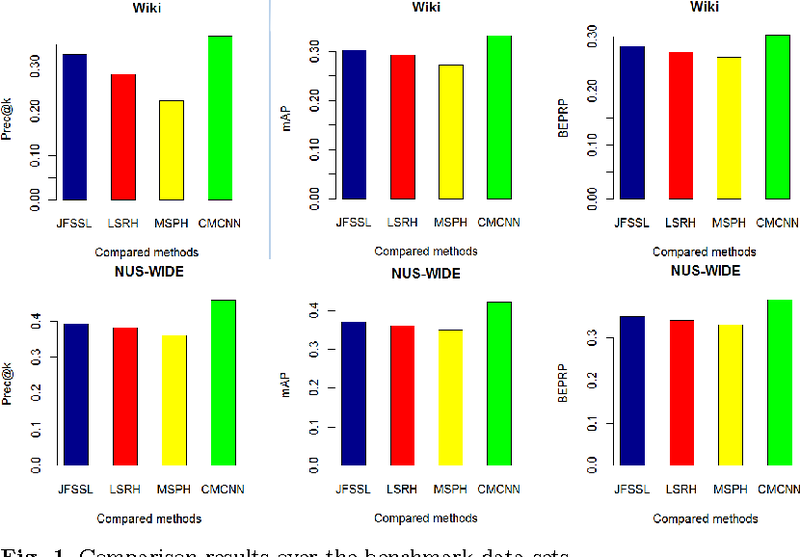 A novel data representation method of convolutional neural net- work (CNN) is proposed in this paper to represent data of different modalities. 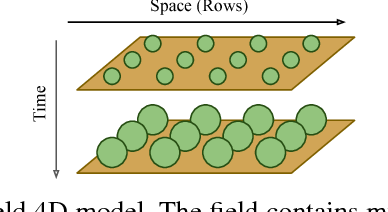 We learn a CNN model for the data of each modality to map the data of differ- ent modalities to a common space, and regularize the new representations in the common space by a cross-model relevance matrix. We further impose that the class label of data points can also be predicted from the CNN representa- tions in the common space. The learning problem is modeled as a minimiza- tion problem, which is solved by an augmented Lagrange method (ALM) with updating rules of Alternating direction method of multipliers (ADMM). The experiments over benchmark of sequence data of multiple modalities show its advantage. Boundary incompleteness raises great challenges to automatic prostate segmentation in ultrasound images. 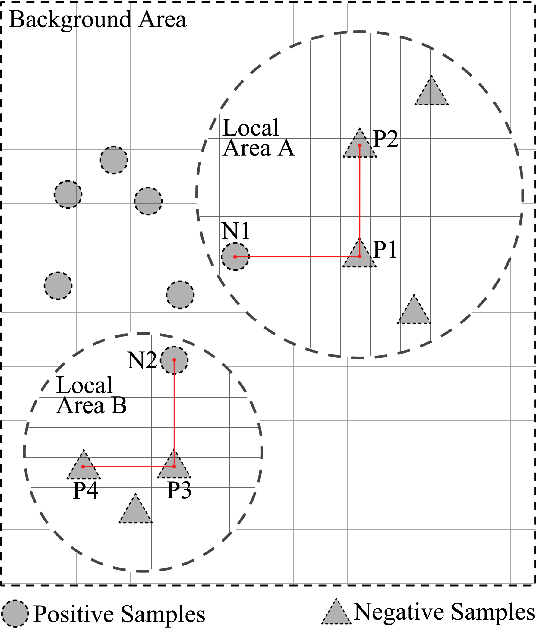 Shape prior can provide strong guidance in estimating the missing boundary, but traditional shape models often suffer from hand-crafted descriptors and local information loss in the fitting procedure. In this paper, we attempt to address those issues with a novel framework. The proposed framework can seamlessly integrate feature extraction and shape prior exploring, and estimate the complete boundary with a sequential manner. Our framework is composed of three key modules. Firstly, we serialize the static 2D prostate ultrasound images into dynamic sequences and then predict prostate shapes by sequentially exploring shape priors. Intuitively, we propose to learn the shape prior with the biologically plausible Recurrent Neural Networks (RNNs). This module is corroborated to be effective in dealing with the boundary incompleteness. 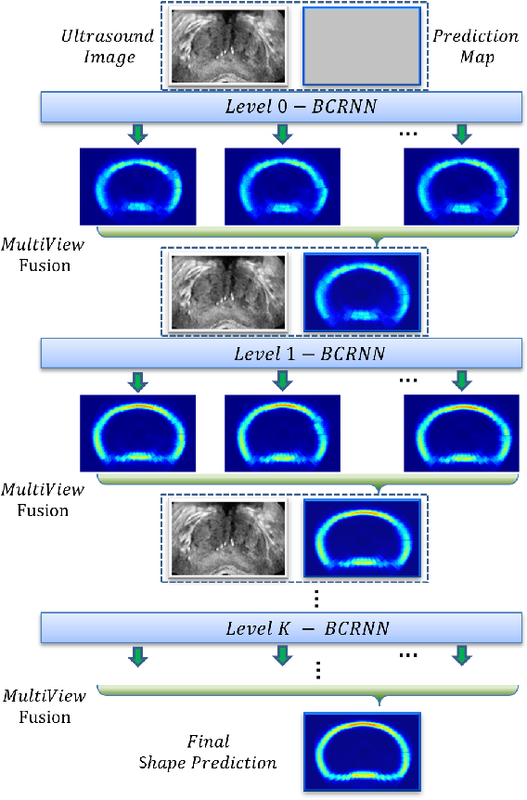 Secondly, to alleviate the bias caused by different serialization manners, we propose a multi-view fusion strategy to merge shape predictions obtained from different perspectives. Thirdly, we further implant the RNN core into a multiscale Auto-Context scheme to successively refine the details of the shape prediction map. With extensive validation on challenging prostate ultrasound images, our framework bridges severe boundary incompleteness and achieves the best performance in prostate boundary delineation when compared with several advanced methods. Additionally, our approach is general and can be extended to other medical image segmentation tasks, where boundary incompleteness is one of the main challenges. 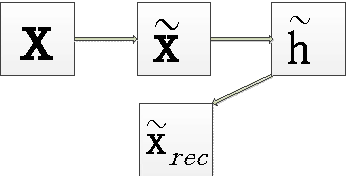 Auto-encoder is a special kind of neural network based on reconstruction. De-noising auto-encoder (DAE) is an improved auto-encoder which is robust to the input by corrupting the original data first and then reconstructing the original input by minimizing the reconstruction error function. 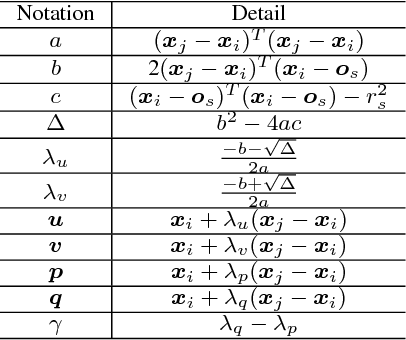 And contractive auto-encoder (CAE) is another kind of improved auto-encoder to learn robust feature by introducing the Frobenius norm of the Jacobean matrix of the learned feature with respect to the original input. 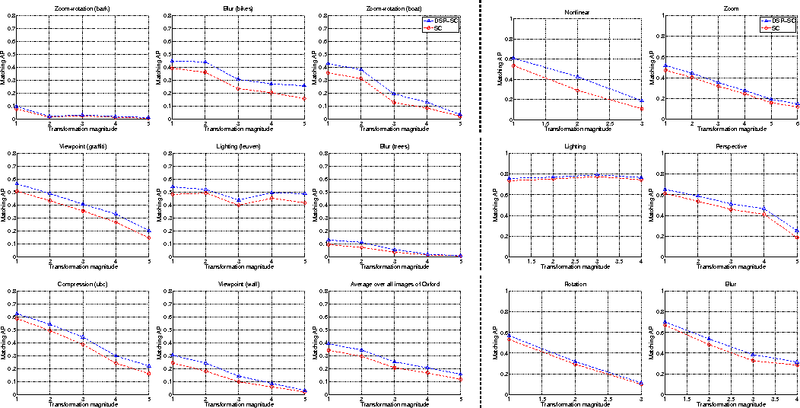 In this paper, we combine de-noising auto-encoder and contractive auto- encoder, and propose another improved auto-encoder, contractive de-noising auto- encoder (CDAE), which is robust to both the original input and the learned feature. We stack CDAE to extract more abstract features and apply SVM for classification. The experiment result on benchmark dataset MNIST shows that our proposed CDAE performed better than both DAE and CAE, proving the effective of our method. 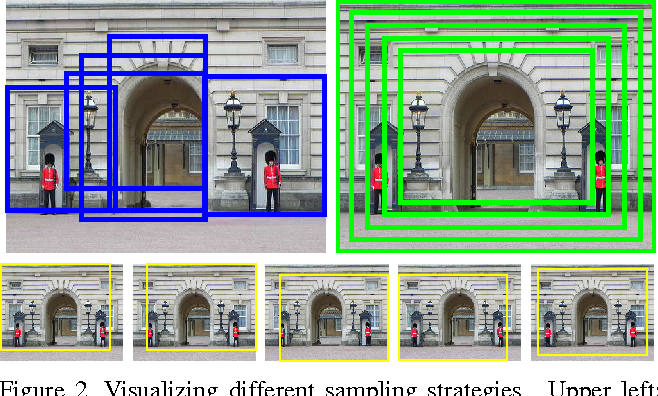 We introduce a simple modification of local image descriptors, such as SIFT, based on pooling gradient orientations across different domain sizes, in addition to spatial locations. The resulting descriptor, which we call DSP-SIFT, outperforms other methods in wide-baseline matching benchmarks, including those based on convolutional neural networks, despite having the same dimension of SIFT and requiring no training. The robust principle analysis (RPCA), which aims to estimate underlying low rank and sparse structures from the degraded observation data, has a wide range of applications in computer vision. 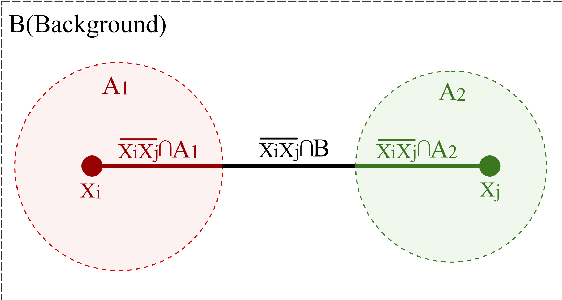 It is usually replaced by the component analysis model (PCP) in order to pursue the convex property, leading to the undesirable overshrink problem. 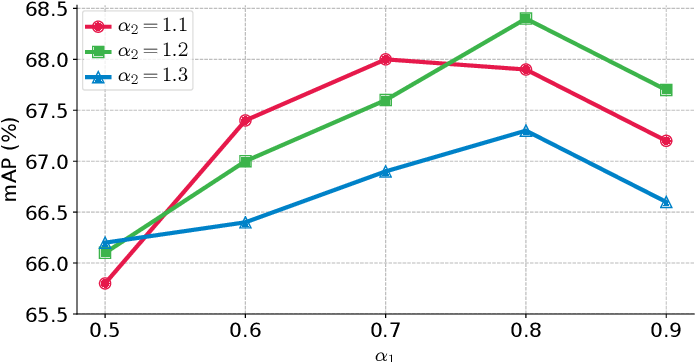 In this paper, we propose a dual reweighted Lp-norm (DWLP) model with a more reasonable weighting rule and weaker powers, which greatly generalizes previous works and provides a better approximation to the rank minimization problem for original matrix as well as the L0-norm minimization problem for sparse noise. Moreover, an iterative reweighted algorithm is introduced to solve the proposed DWLP model by optimizing elements and weights alternatively. 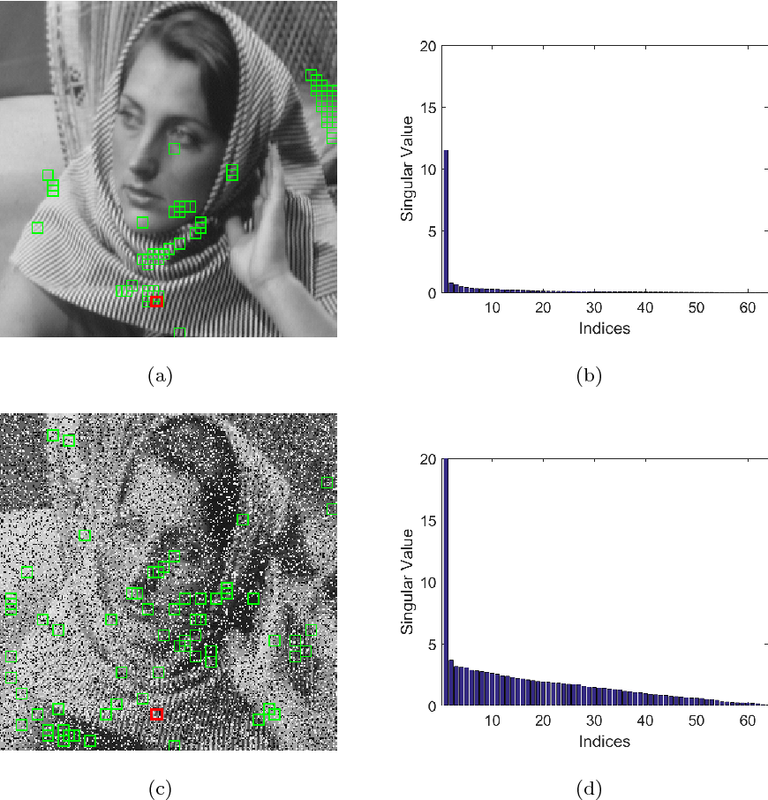 We then apply the DWLP model to remove salt-and-pepper noise by exploiting the image non-local self-similarity. Extensive experiments demonstrate that the proposed method outperforms other state-of-the-art methods in terms of both qualitative and quantitative evaluation. More precisely, our DWLP achieves about 6.814dB, 4.80dB, 3.142dB, 1.20d-B and 0.1dB improvements over the current WSNM-RPCA in average under salt-and-pepper noise densities 10% to 50% with an interval 10% respectively. We describe a system to detect objects in three-dimensional space using video and inertial sensors (accelerometer and gyrometer), ubiquitous in modern mobile platforms from phones to drones. Inertials afford the ability to impose class-specific scale priors for objects, and provide a global orientation reference. 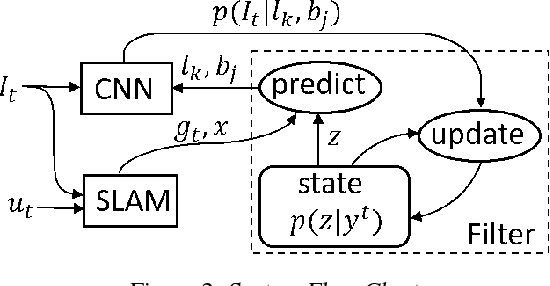 A minimal sufficient representation, the posterior of semantic (identity) and syntactic (pose) attributes of objects in space, can be decomposed into a geometric term, which can be maintained by a localization-and-mapping filter, and a likelihood function, which can be approximated by a discriminatively-trained convolutional neural network. 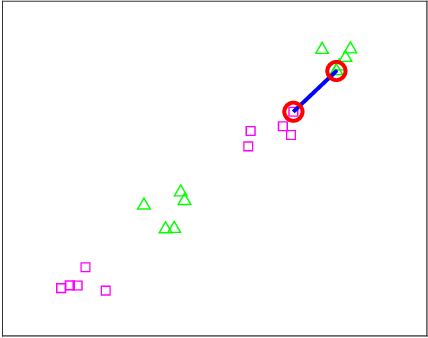 The resulting system can process the video stream causally in real time, and provides a representation of objects in the scene that is persistent: Confidence in the presence of objects grows with evidence, and objects previously seen are kept in memory even when temporarily occluded, with their return into view automatically predicted to prime re-detection. We conduct an empirical study to test the ability of Convolutional Neural Networks (CNNs) to reduce the effects of nuisance transformations of the input data, such as location, scale and aspect ratio. We isolate factors by adopting a common convolutional architecture either deployed globally on the image to compute class posterior distributions, or restricted locally to compute class conditional distributions given location, scale and aspect ratios of bounding boxes determined by proposal heuristics. In theory, averaging the latter should yield inferior performance compared to proper marginalization. Yet empirical evidence suggests the converse, leading us to conclude that - at the current level of complexity of convolutional architectures and scale of the data sets used to train them - CNNs are not very effective at marginalizing nuisance variability. We also quantify the effects of context on the overall classification task and its impact on the performance of CNNs, and propose improved sampling techniques for heuristic proposal schemes that improve end-to-end performance to state-of-the-art levels. 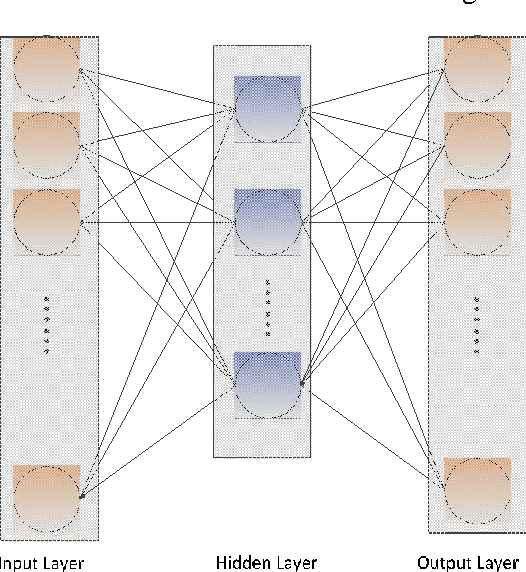 We test our hypothesis on a classification task using the ImageNet Challenge benchmark and on a wide-baseline matching task using the Oxford and Fischer's datasets. We study the structure of representations, defined as approximations of minimal sufficient statistics that are maximal invariants to nuisance factors, for visual data subject to scaling and occlusion of line-of-sight. We derive analytical expressions for such representations and show that, under certain restrictive assumptions, they are related to features commonly in use in the computer vision community. This link highlights the condition tacitly assumed by these descriptors, and also suggests ways to improve and generalize them. This new interpretation draws connections to the classical theories of sampling, hypothesis testing and group invariance. Over the past decades, both critical care and cancer care have improved substantially. Due to increased cancer-specific survival, we hypothesized that both the number of cancer patients admitted to the ICU and overall survival have increased since the millennium change. MIMIC-III, a freely accessible critical care database of Beth Israel Deaconess Medical Center, Boston, USA was used to retrospectively study trends and outcomes of cancer patients admitted to the ICU between 2002 and 2011. Multiple logistic regression analysis was performed to adjust for confounders of 28-day and 1-year mortality. Out of 41,468 unique ICU admissions, 1,100 hemato-oncologic, 3,953 oncologic and 49 patients with both a hematological and solid malignancy were analyzed. Hematological patients had higher critical illness scores than non-cancer patients, while oncologic patients had similar APACHE-III and SOFA-scores compared to non-cancer patients. In the univariate analysis, cancer was strongly associated with mortality (OR= 2.74, 95%CI: 2.56, 2.94). Over the 10-year study period, 28-day mortality of cancer patients decreased by 30%. This trend persisted after adjustment for covariates, with cancer patients having significantly higher mortality (OR=2.63, 95%CI: 2.38, 2.88). Between 2002 and 2011, both the adjusted odds of 28-day mortality and the adjusted odds of 1-year mortality for cancer patients decreased by 6% (95%CI: 4%, 9%). Having cancer was the strongest single predictor of 1-year mortality in the multivariate model (OR=4.47, 95%CI: 4.11, 4.84). In this paper, we are interested in building lightweight and efficient convolutional neural networks. Inspired by the success of two design patterns, composition of structured sparse kernels, e.g., interleaved group convolutions (IGC), and composition of low-rank kernels, e.g., bottle-neck modules, we study the combination of such two design patterns, using the composition of structured sparse low-rank kernels, to form a convolutional kernel. 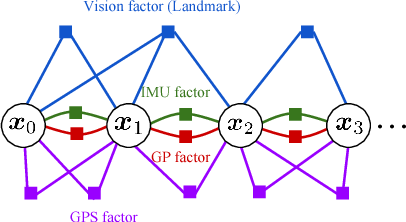 Rather than introducing a complementary condition over channels, we introduce a loose complementary condition, which is formulated by imposing the complementary condition over super-channels, to guide the design for generating a dense convolutional kernel. The resulting network is called IGCV3. We empirically demonstrate that the combination of low-rank and sparse kernels boosts the performance and the superiority of our proposed approach to the state-of-the-arts, IGCV2 and MobileNetV2 over image classification on CIFAR and ImageNet and object detection on COCO.